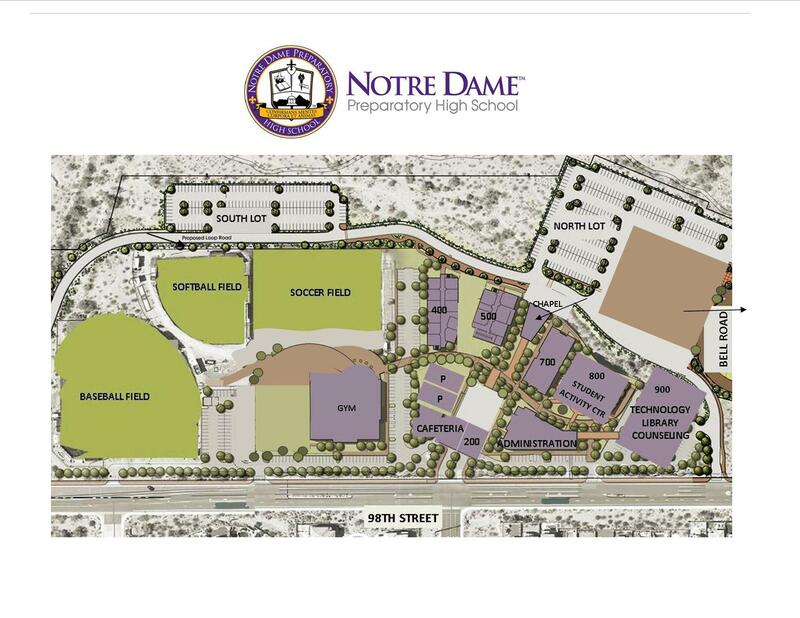 Located in north Scottsdale, Arizona, Notre Dame Preparatory boasts a campus that spans more than 42 acres. The school’s footprint recently grew by more than 7 acres to accommodate a three-phase Strategic Master Plan. Phase I, which included infrastructure upgrades, student parking and campus access roads, was completed in August 2014. Phase II, a state--of-the-art sports complex, was completed in September of 2015. Phase III calls for a black box theater, sports facilities, additional classrooms, parking and much more! Our carefully planned expansion will serve the growing needs of our current school community and future students seeking the challenge of Notre Dame Prep's Catholic college preparatory curriculum.